Volvo Trucks is now launching a new function – Tandem Axle Lift – which makes it possible to disengage and raise the second drive axle. This gives better road grip and up to 4 per cent lower fuel consumption when the truck is driven unladen. The solution is ideal for heavy-duty operations with loads being carried one way and returning empty, such as hauling timber, bulk cargo or operating in the construction industry. “With Tandem Axle Lift the second drive axle can be disengaged and its wheels raised off the road when the truck is driven empty. 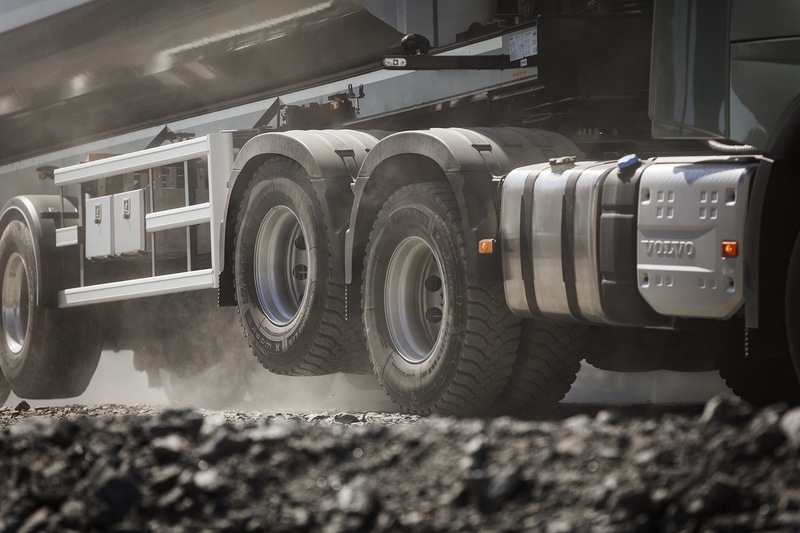 This offers many advantages, of which the most significant is the fuel saving since driving with the second drive axle raised saves up to 4 per cent in fuel compared with having all the axles lowered,” says Jonas Odermalm, segment manager Construction at Volvo Trucks. By replacing the differential in the first drive axle with a dog clutch, the second drive axle can be disengaged and raised. The driver thus has access to both the power and capacity of two drive axles (6×4) and also the better manoeuvrability of a single drive axle (4×2). 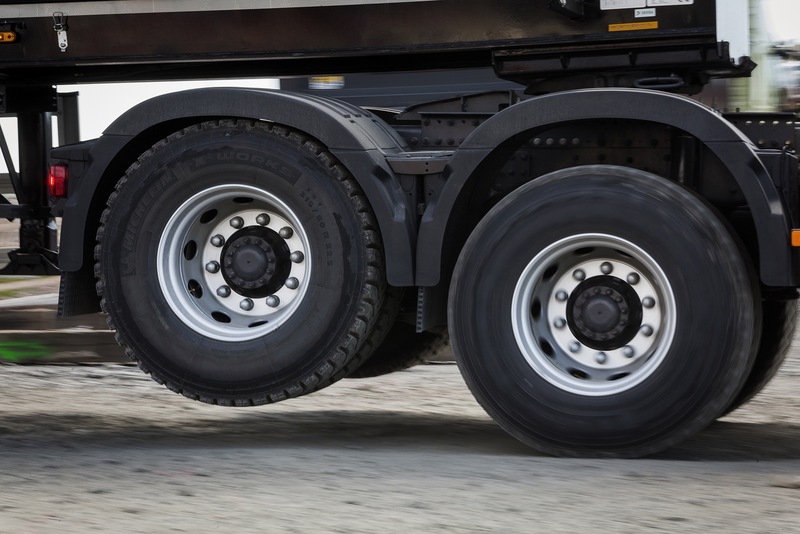 What is more, driving with the second drive axle raised also cuts the turning circle by a metre and imposes less wear on tyres and suspension systems. “Tandem Axle Lift is perfect for operations where ground conditions or gross vehicle weights demand a tandem-drive truck, but where the vehicle returns empty or lightly-loaded in the opposite direction,” explains Jonas Odermalm. Tandem Axle Lift also offers the driver better comfort when the truck is driven empty, which can correspond to 50 per cent of the operating time. 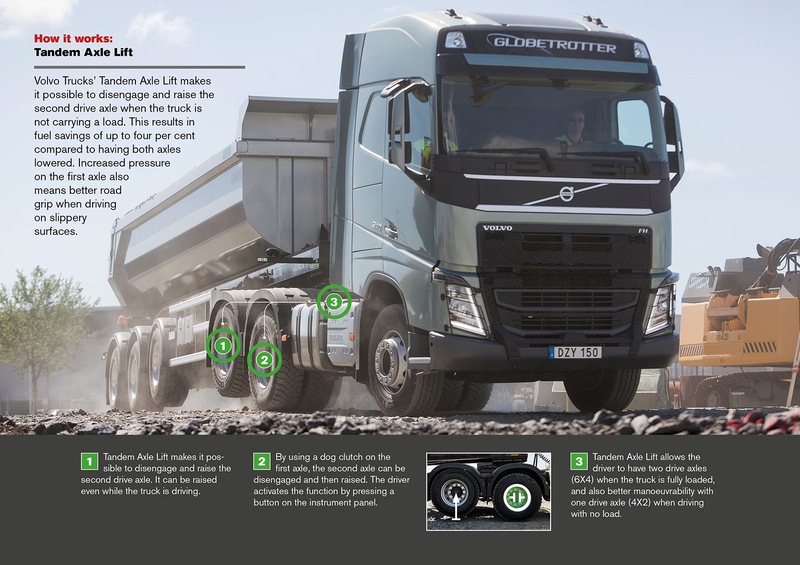 The in-cab noise level is lower and vibrations are reduced when only the tyres of one drive axle are in contact with the road. The Tandem Axle Lift option is now available for all models in the Volvo FM, Volvo FMX, Volvo FH and Volvo FH16 ranges. This entry was posted in NEWS, SCOOP! !, Volvo by truckbloguk. Bookmark the permalink.